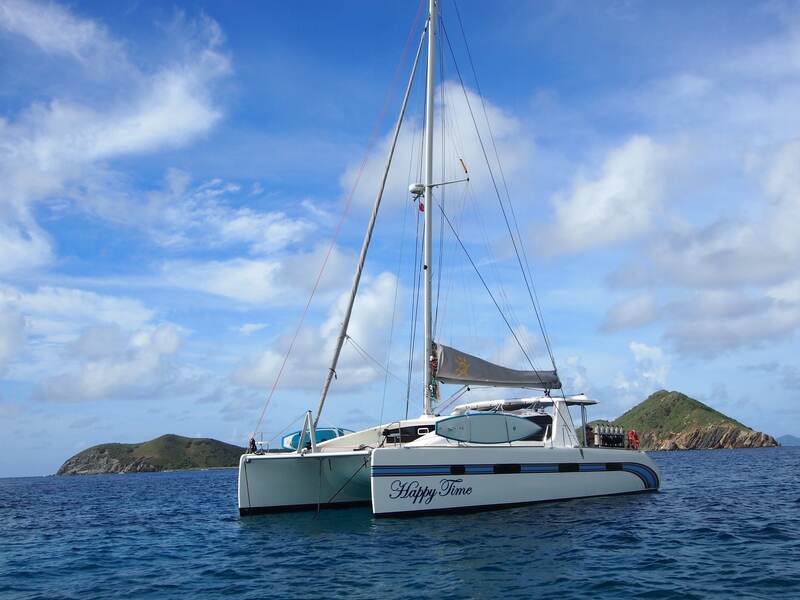 Recent $11,000 price reduction! 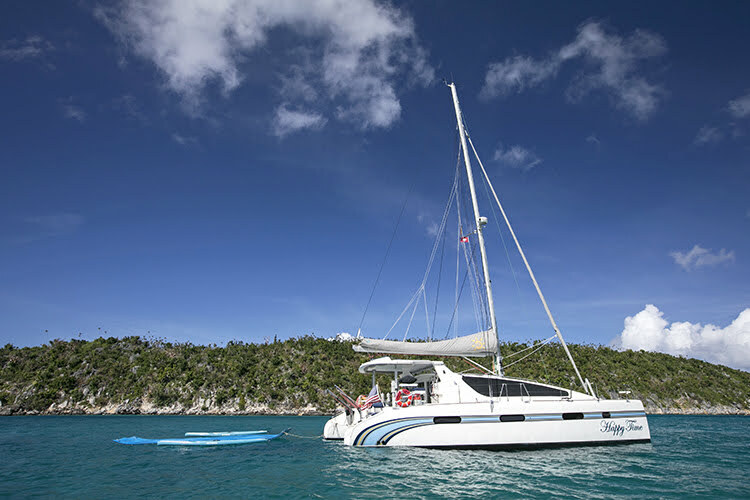 2010 Matrix Yachts Vision 450 Catamaran for sale. Purchased New October 2011 by the current owner. HAPPY TIME was built in Cape Town, South Africa. 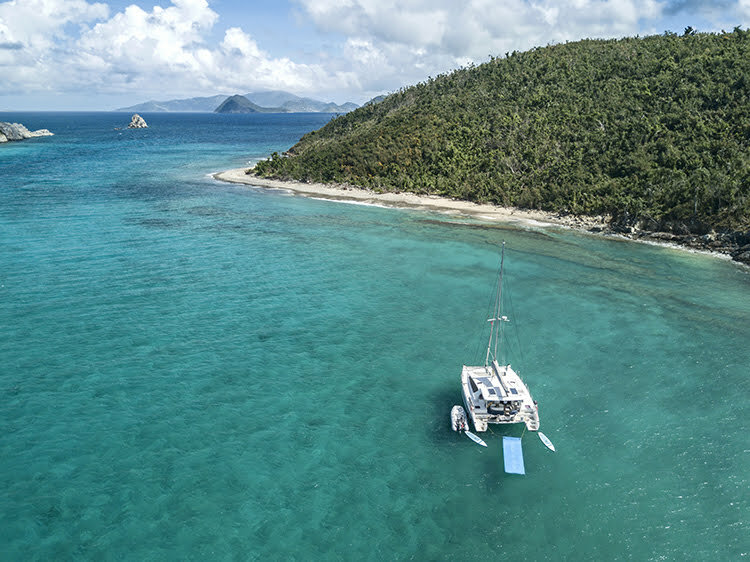 The catamaran is an innovative, thoroughly modern, performance design and has been finished to mega yacht standards in keeping with Matrix Yachts' reputation. 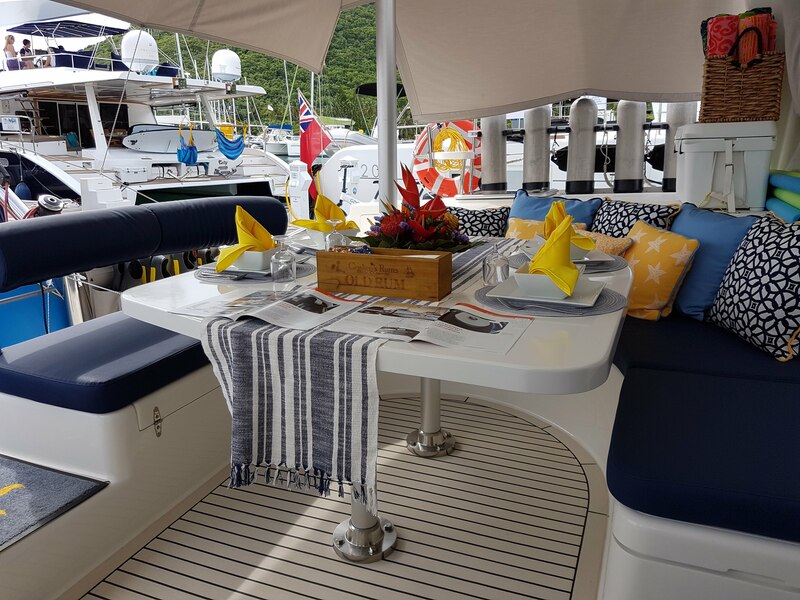 The genius and passion of her designer and builder, Peter Wehrley, is apparent in all facets of the yacht down to the smallest detail. 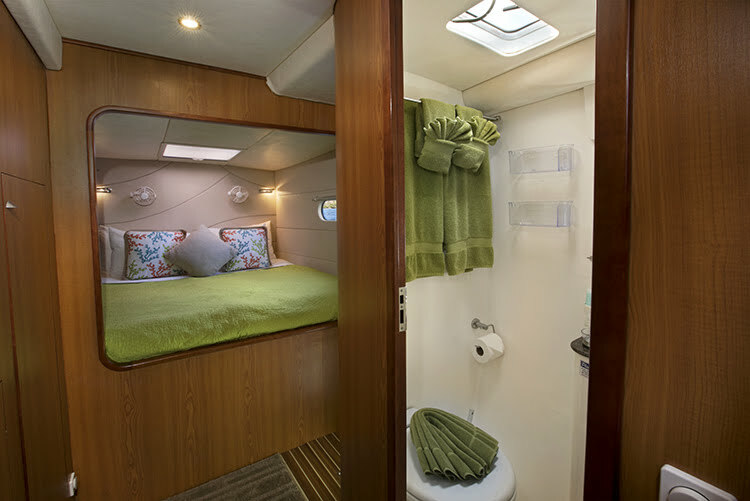 Her accommodations are comfortable, voluminous and fully air-conditioned. 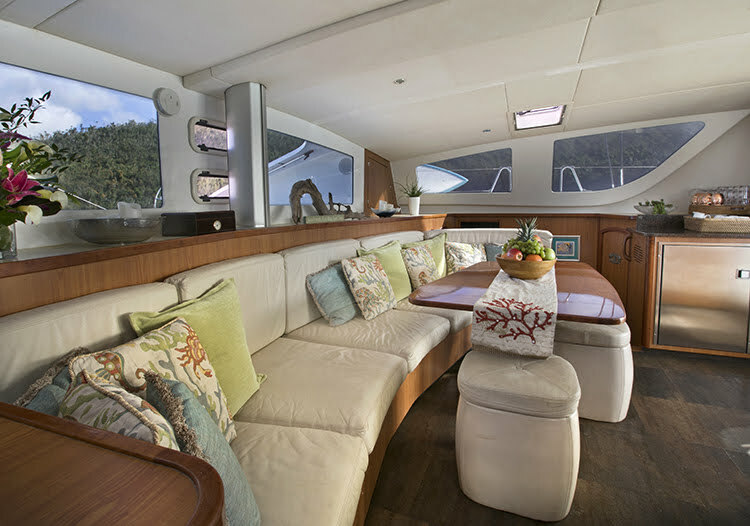 The immediate impression upon boarding Happy Time is one of spaciousness and generous headroom (6'8" in the salon and 6'5" in the staterooms). 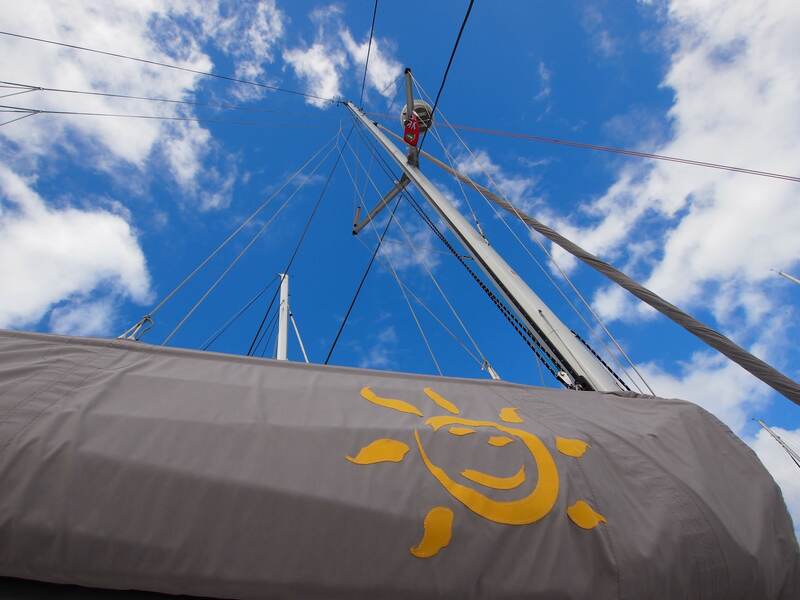 HAPPY TIME has four staterooms, two with queen sized beds and two with king-sized beds. 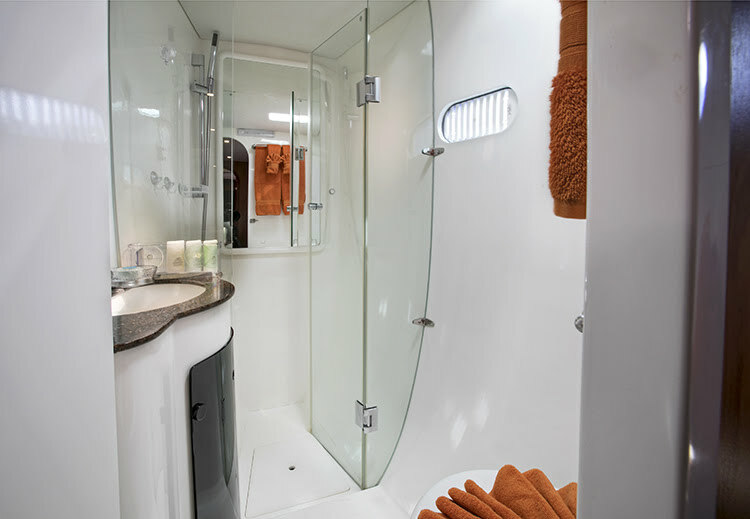 Each cabin has a large bathroom equipped with separate shower stalls and full-sized fresh water flush electric toilets. 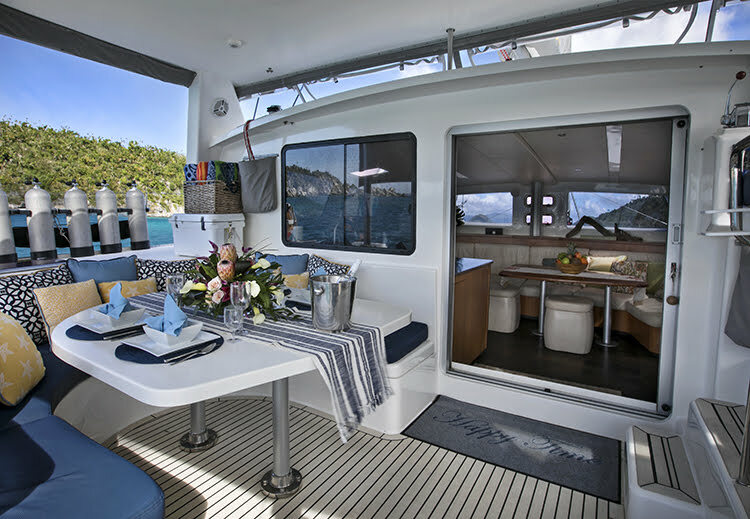 The Vision 450 is a modern innovative design, which incorporates build features found in performance catamarans. 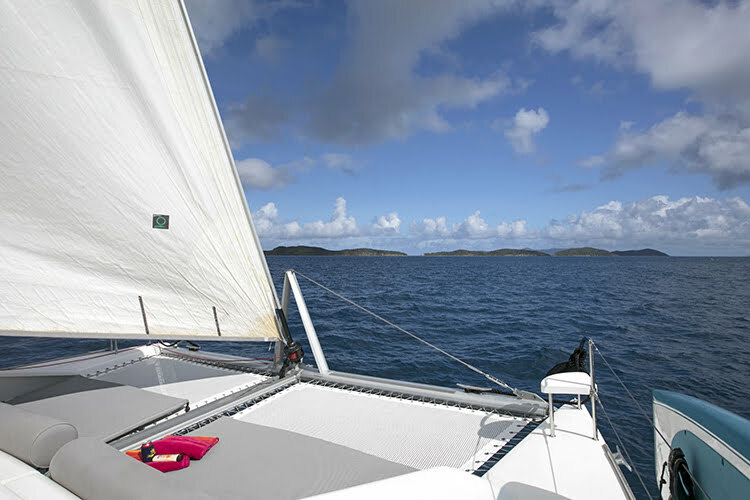 The fiberglass hulls are a vacuum-bagged sandwich construction using vinylester resin, E-Glass, and a high-density rigid PVC foam coring. The bridge deck consists of a polyethylene honeycomb material, Nida-Core, which has a very high strength-to-weight ratio and good sound dampening qualities. This reduces the noise created by wave slap under the bridge deck. 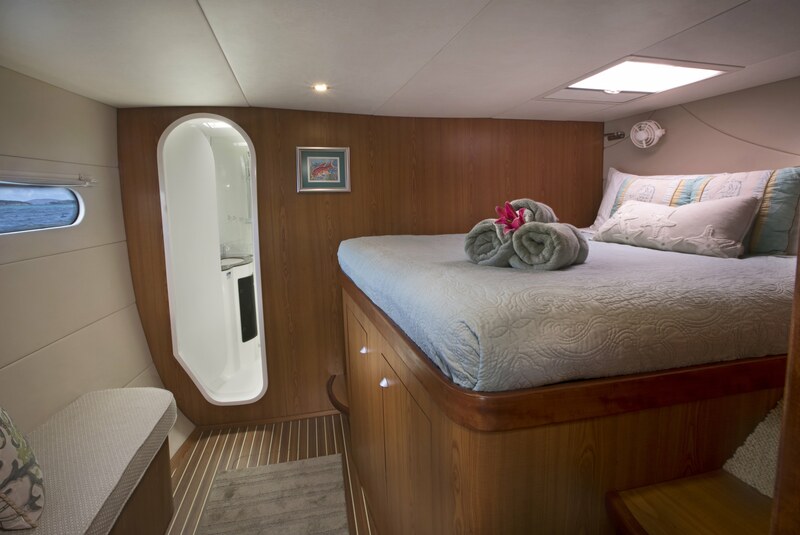 Nida-Core can also be found within the bulkheads of the boat. A paper resin impregnated honeycomb product called Tricel is used in all the doors and cabinetry, again, to limit weight factors. All these materials and techniques result in a lighter, faster boat. 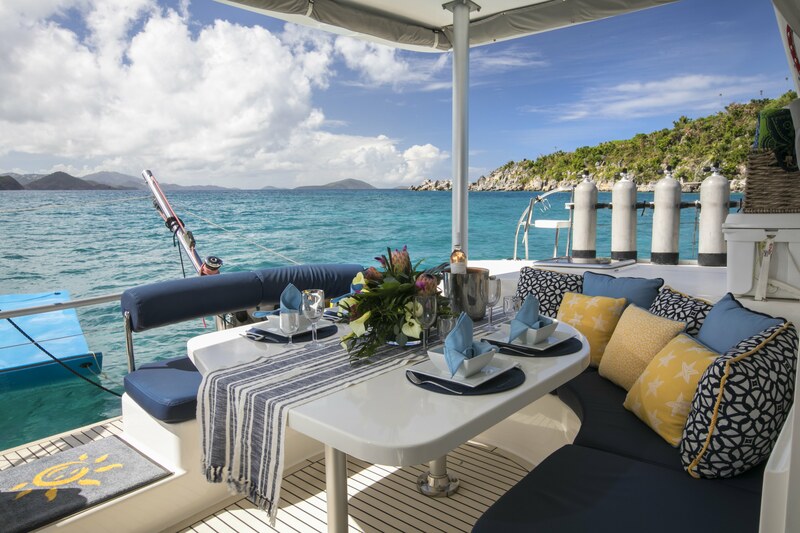 The fiberglass hulls are a vacuum-bagged sandwich construction using vinylester resin, E-Glass and a high-density rigid PVC foam coring. The bridge deck consists of a polyethylene honeycomb material, Nida-Core, which has a very high strength-to-weight ratio and good sound dampening qualities. 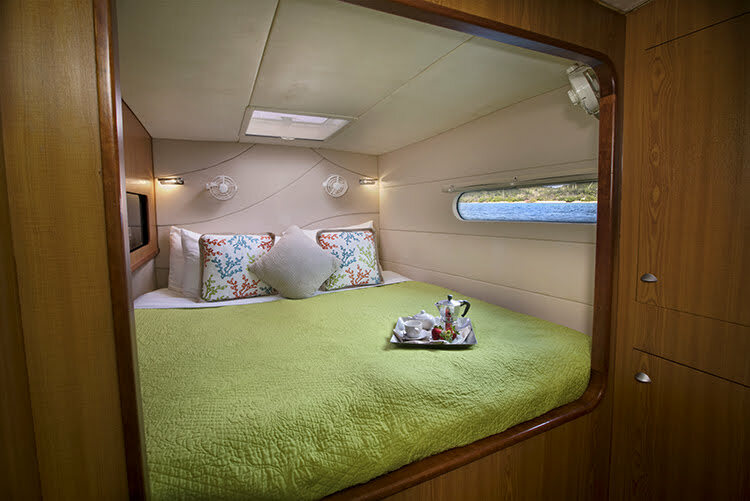 Nida-Core can also be found within the bulkheads of the boat. A paper resin impregnated honeycomb product called Tricel is used in all the doors and cabinetry, again, to limit weight factors. The keels are solid glass, without any coring. They are attached to the hulls separately, therefore, if an unexpected hard grounding should occur the hulls would not be compromised. The fresh water tanks are located with the keels, placing this weight as low as possible. Jib (new 2018) on Harken roller furling. Code zero on continuous line furler (original but barely used). Mastervolt Inverter 2500 W, New 2016. 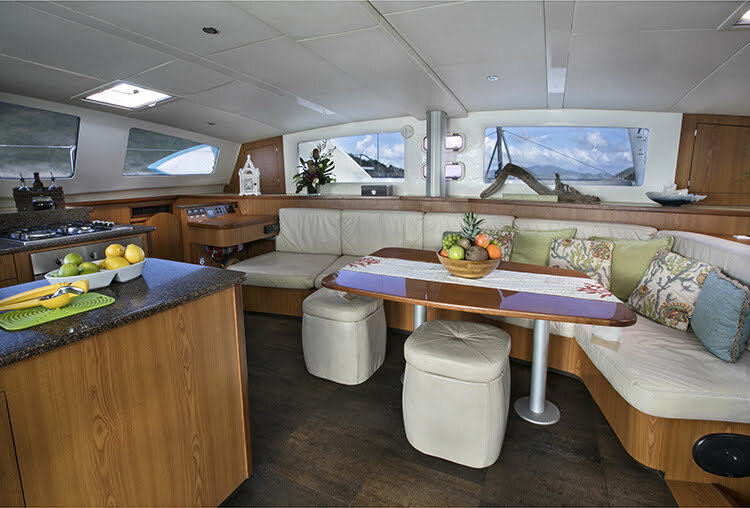 Four with queen berths forward port and starboard and king berths aft port and starboard. A complete compliment of 220 V small kitchen appliances including KitchenAid food processor. A complete complement of dishes, cookware, utensils, cutlery, glassware, and bar implements. Large leather settee and polished wood dining table. 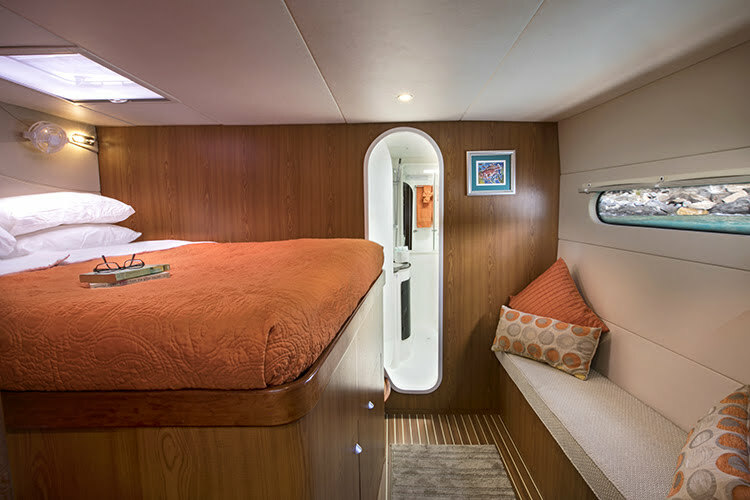 200 Gallons in two tanks (one 80 gallon tank in compartment forward of the salon on the port side and one 120 gallon tank underneath port aft bed). Transfer pump from aft tank to forward/upper tank with inline Racor filter. Fortress Anchor with 200 ft rope rode. Anchor day shape and steaming day shape. 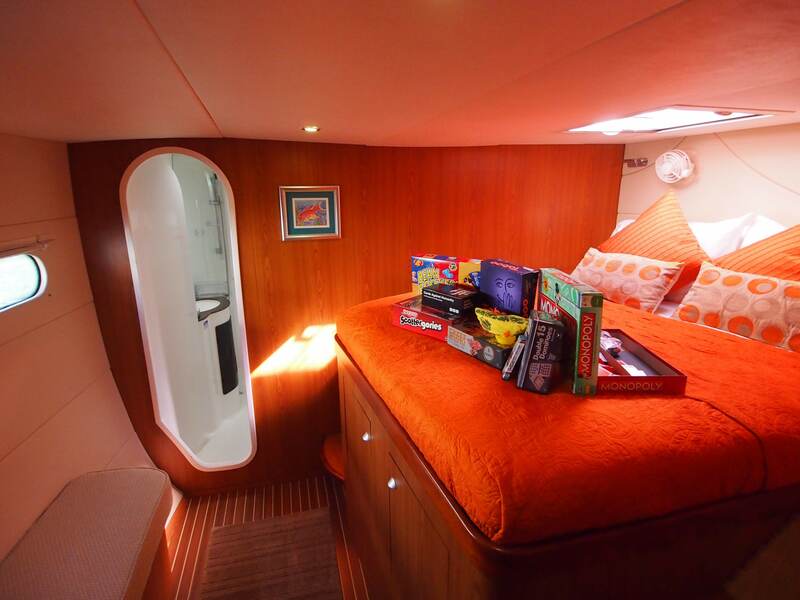 CO2 detectors and smoke detectors in salon and starboard aft cabin. Danforth style anchor and rode.